Need to look smart but bored of wearing a blazer? (Not sure why, as they continue to be trending in fashion). 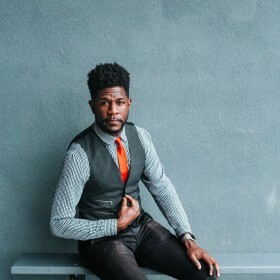 It’s time to discover the edit of men’s waistcoats available to buy through Fashiola. Here are a few things to remember; a waistcoat should be well fitted, it should sit above the waistband of your pants and you should mix and match materials to give life to your outfit. These days, men’s waistcoats are more than just the finishing touch to a 3-piece suit, you can even combine a waistcoat with a white tee – so, broaden your fashion horizons with this purchase!